Welfare Group, on the completion of 75 years of faithful service in the financing sector, is stepping in to the corporate level to carry on what we have been doing since 1941; ensuring the welfare of the public. Welfare Nidhi Limited was incorporated in the year 2015 and has taken over has the flagship company of the group. Welfare Nidhi Limited is a ‘NIDHI’ company declared by the Central Government of India under the section 620A of the Companies Act of 1956. Regulated by the Ministry of Corporate Affairs, Welfare Nidhi Limited belongs to the non-banking Indian Finance sector. Under the leadership of Mr. Davis A Palathingal (Managing Director) we offer a wide range of Gold Loan schemes and attractive Deposit schemes to our valuable customers through our registered office at Mannuthy, Thrissur. Anyone who is the member and owns gold ornaments can avail the loan. (Note: Minors are not eligible.) The loan amount will be sanctioned on the basis of gold valuation which involves verification of its purity. The weight of stones etc. fixed on the ornaments will be deducted for the intention of valuation. 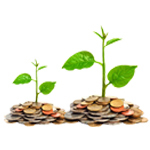 Interest is calculated only for the exact period of loan and to the exact number of days. The interest rate is fixed and calculated on a reducing balance basis. If the loan is closed on the same day, we charge the interest only for that one day. No Hidden charges such as Insurance charge, Custody charge, Appraiser charge etc. We don’t have any schemes in which the interest rate changes according to the variations in the loan period. Welfare Nidhi Limited Gold loan products have a tenure of one year and you can repay earlier than the scheduled as you desire. You can receive your loan amount within 5 minutes with 0% processing fees. Gold ornaments accepted as pledge by the customers are stored at our office in strong cash safes inside a strong room built to the standards and specifications applicable to commercial banks and all the pledged gold ornaments are insured for full value. Electronic surveillance technologies are deployed in all our offices for the safety of the pledged gold ornaments. To abide by the KYC (Know Your Customer) Policy of RBI and approved KYC norms of our Company, we insist to produce one document of identity proof (Such as Ration Card with photo, Driving License, PAN Card, Voter ID card, Passport, Aadhaar Card etc.) and one document of residential address proof (Such as Telephone Bill, Electricity Bill, Water Bill, Bank account / Credit Card Statement, Municipal / Local/House Tax Bill / Receipt, Authentic Rent Receipt / Lease Document, Letter from reputed employer/ Public Authority). For the security purposes, all the customers will be photographed during their first transaction. We have a wide range of deposit products with maturity periods ranging from 6 to 60 months. 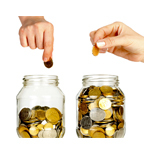 We have two types of term deposit schemes: Monthly Interest Scheme and Cumulative Scheme. Nomination facility available for all deposit schemes. There can be only one Nominee for a deposit account whether held singly or jointly. Applicants can make nomination by filling up the prescribed form. The nomination details can be changed during the subsistence of the account relationship by filling up the prescribed form. Quick Loan can be availed against Deposit receipt for both the monthly interest scheme and the cumulative scheme. In monthly interest scheme, members can opt for their interest to be deposited to their bank of choice. 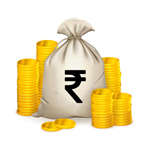 Minimum amount for opening a Saving Deposit account is Rs. 100/-. We offer 6% of interest for the savings deposits and the interest is credited half yearly during September/March every year. The money can be withdrawn by using withdrawal slip. Savings account is of continuing nature and there is no maximum period. Customer has to maintain a minimum balance or Rs.100/- and we offer nomination facility for Savings Deposit accounts. No loan facility is provided against savings account. Recurring Deposit is a kind of deposit scheme to help people with regular incomes to deposit a fixed amount daily, weekly or monthly into their Recurring Deposit account and earn a higher rate of interest. 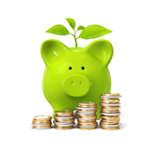 We offer an attractive interest rate of 9 % for the Recurring Deposits. The period of deposit is minimum 1 year and maximum five years. All the Recurring Deposit accounts that have completed a minimum of one year are eligible for availing the interest.